Current iPads still use a physical, clicking home button — and that feels a touch out of date after last year’s iPhone 7 switched to a non-moving button that simulates presses with vibration. Apple did the same thing with the iPhone 8 and 8 Plus this year. 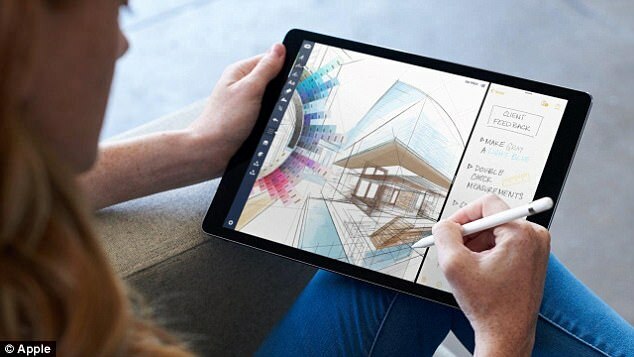 The new iPad Pro would not receive much upgradation in terms of display as it will continue to adorn LCD displays and not the latest advanced technology OLED display. “Technical and financial constraints” are preventing the same display technology transition that the top-tier iPhone made this year. Samsung utilizes high-resolution OLED screens both for its Android-based Galaxy tablets and the 12-inch Galaxy Book that runs Windows. But good news to the Apple fandom, the new iPad is likely to feature a bezel less design and revamped hardware Apple-designed GPU that will be stronger and faster, similar to the iPhone X. Even in 2015, tablets and iPads used to be the big showstoppers and everyone was hyped to get their hands on one, but somehow the demand and fascination of consumers towards tablets waned over the years, reportedly 17% sales declined over a span of 3 years. As consumer preference is shifting towards something other than tablets and iPads, how much effect on Apple’s sales and profitability can the new iPad Pro harbour? Other major details of the iPad Pro to-be launched in 2018 is still unrevealed and we can only fathom whether the iPad will feature wireless charging, waterproof capabilities or not that Samsung and other contemporaries have been offering for quite some time now. It’s time the Apple fans at least get these basics that are provided by the brand’s biggest competitor. Bloomberg estimates that the launch is about a year out, so we might not see it until fall 2018. Do you think Apple has something big stowed under their cloak for the new iPad? It would be great if apple launching revamped iPad with face id but people are still in confusion over issue which going on face id feature.